Do you organize activities for children and young people and are you looking for an opportunity to help them discover another country in an interactive way? 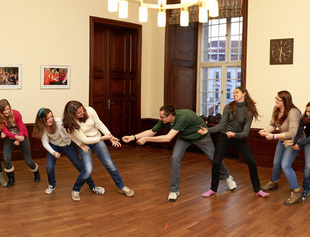 The FGYO promotes the organization of exchange programs with Germany and France. Do you want to organize a trilateral exchange for children and young people so that they can get to know France or Germany and improve their language skills? A stay abroad with interesting activities is particularly useful for the promotion of the linguistic and intercultural skills of children and young people! The FGYO supports numerous exchange programs around sports, culture, the arts, technology, science and social issues. You can decide on the theme together with the partner organizations or institutions in France and Germany. The aim of international youth exchanges is that the young people from different countries form strong relationships and communicate with each other. The use of language animation activities helps to reduce initial shyness among young people when first meeting each other and to create better group dynamics. As the organizer of a youth exchange with language animation activities you can find more information about the funding conditions and about method of language animation here. Before the departure of your group, you can organize a linguistic preparation of you exchange during which the participants can learn some basics or deepen their skills and have an intercultural preparation at the same time. The FGYO can help you financially with the preparation of this course. Do you organize activities in the fields of music, drama, cinema, dance, painting or another art form? Bring together young talent from different countries. During an extracurricular cultural exchange, the participants work on a creative project with like-minded children and teenagers and get to know the culture and language of the partner country. 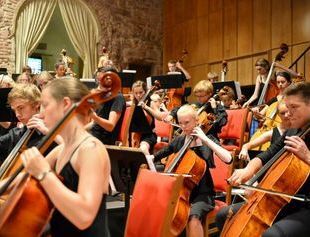 Organize a youth exchange with participants from France and Germany with a focus on music, drama, dance, cinema, photography and other visual and fine arts. Do you want to give children and young people an opportunity to interact with their peers from France and Germany and to learn more about topics like physics, geography, computer science, or multimedia? The FGYO supports intercultural exchanges projects about innovation and technology. You would like to give young people with an interest in STEM-subjects the opportunity to participate in an intercultural youth exchange? 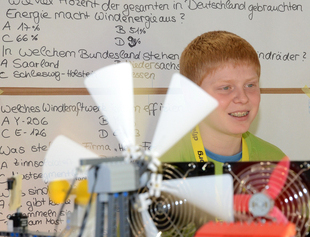 Then organize a science exchange project and benefit from the support of the Franco-German Youth Office (FGYO). Do you work in a sports club and are interested in getting involved in international youth sports? Organize an exchange around a sport that brings together participants from different countries. Are you working at a sports club and interested in getting involved in international youth sports? 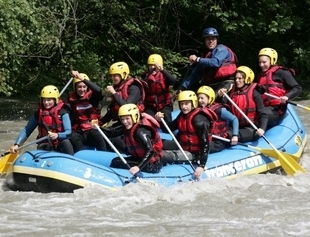 Canoeing, kayaking, handball or basketball – all sports are suitable for an international youth exchange! Do you have a partner organization active in a Franco-German city partnership? The FGYO supports your projects. These youth exchanges organized together with partners from France and Germany are a great experience for the participants and strengthen civil society. Would you like to organize a project with partners from France and Germany, which goes beyond the framework of a classic extracurricular group exchange? With Focus, the FGYO promotes projects of schools and associations which combine aspects and activities of formal and non-formal education. Innovative projects initiated by young people under 21 can also join the Young Europeans Award.